Tutorial to Root and Install CWM for OPPO Neo 3 (R831K) without PC - OPPO Neo R831K or usuall the people call it OPPO Neo 3 is a product that made by OPPO company and this phone has many users because this phone is great enough. Especially on camera features, it has amazing features you want. Discussing OPPO Neo 3 R831K, we will discuss about root oppo r831k and how to root oppo r831 because this is the topic we are going to do. Based on our experience, the people want to root their device because they want to try something different. Root helps the Android phone to get many opportunities and there are many methods to root oppo r831k. Beside root r831, there are some important things you need to know to tweak your phone. Yes, you need to install CWM r831 that has many functions for your phone. 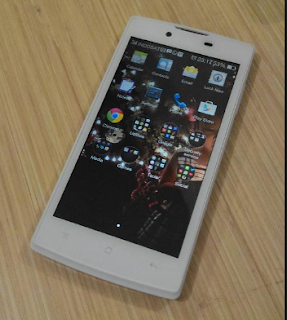 Root cwm oppo r831k has many opportunities they are such install custom ROM easily, take. back upor restore and much more.Install cwm oppo r831k isn't bad thing if you really need it, especially if you know the functions to install cwm neo 3. As the title above, we will guide you to install cwm oppo r831k with the easiest method and install CWM on your OPPO Neo 3 R831K. We hope this tutorial is clear enough so you can follow the instruction bellow carefully. Download Root Master application in the link we've provided. Download SuperSU application in the link we've provided before. Install Root Master application you've downloaded before. Open Root Master application you've installed. Then select start root and wait the process is running. Then, select root and wait until the root process is finish. Select abort that appears on the right side box with purple color. Wait until the the process is complete. Then we are going to continue this process, install Super User application and wait the process until finish. Next, open Super User application and will appear the display that asks to update binary, tap then continue this process and select normal. There will appear a notification, just select accept then you need to restart your phone. Download Mobile Uncle Tool on Play Store. Download CWM Recovery for OPPO Neo 3 R831K in the link we've provided. Copy CWM Recovery to the external memory or internal memory but don't try to put it inside any folder because you will not remember it anymore where you put the file. Install Mobile Uncle you've downloaded. Then Flash it, if there will appear the display on the screen just click OK! Once if finish, then you can reboot and automatically it will go to CWM mode. Belum ada tanggapan untuk "Tutorial to Root and Install CWM for OPPO Neo 3 (R831K) without PC"